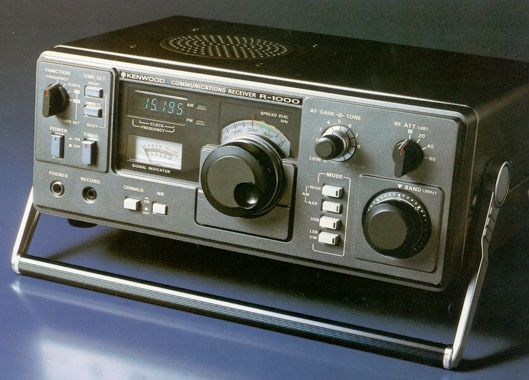 The Kenwood R-1000: A resurgence in popularity? My appreciation for this radio has only grown since acquiring it last year. Mine was in like new condition and I had it modified by KIWA to provide multiple selectivity positions. Click here to search eBay for an R-1000. Thanks, Dan! I think the R-1000 is a handsome rig and certainly represents everything I love about solid state receivers of the era: simple design, beautiful audio, admirable performance and a proper weighted tuning knob. Note that if you’re an owner of the R-1000–or any receiver of a similar age–you should set aside a budget for the occasional repair. With regular maintenance, these receivers will give you decades of good DX. This entry was posted in News, Radios, Shortwave Radio, Vintage Radio and tagged Dan Robinson, Kenwood, Kenwood R-1000, R-1000 on May 14, 2016 by Thomas. An ex-mobile phone switchmode charger (5 volts) saves a lot of heat generated by the OEM 5 volt linear IC regulator without introducing RFI. An extra ceramic filter (cascaded) for AM narrow also improves things and removes need for fancy switching mods. Best if they are matched. The best RF gain mod. is to change the AGC reference voltage at the 8k2 and 4k7 resistors by loading it to earth through the 10K (tone) potentiometer. No need for an extra transistor to switch in an extra capacitor for slow AGC; a rewired display ‘DIM’ switch can do this by itself. Display is quite bright enough without increasing brightness through this switch. Mystery solved. My R-1000 had an invisible solder bridge across two pins in socket No. 1 on the pc board, apparently since new. Now all VCO’s and BP filters are selected appropriately. Note there is a mistake in the service manual circuit: MHz values for higher bands are labelled upside-down, as can be seen by reference to the inductor values. Just got Kenwood R-1000, serial no. 140065. PSU and AF amplifier needed resoldering first of all. Appears to have wrong (??) bandswitch fitted from new:- Of the four VFO’s, the 0-7 MHz is selected on 0-15 MHz bands; the 8-15 MHz VFO on 4-15 MHz bands! Hence the PLL does not lock on the 4 MHz band, due to frequency confusion. The last two VFO’s are selected properly. Also the RF bandpass filters are all over the place; not switched in proper order, and not behaving individually when checked with a RF signal generator and oscilloscope, e.g.the nominal 8-16 MHz bandpass filter peaks at 3.7; 4.6; 6.5, & 14.6 MHz, stopping at 20 MHz. ALL switching diodes check as OK, so they are not the problem. ALL TTL dividers are OK. And for your information, 74LS74 works instead of 74S74; 7400 instead of 74S00; and 74LS161 instead of 74LS163. Seems to need extra manual switching of VFO’s and bandpass filters to work properly. As I search for a ‘new’ (to me) receiver I very much appreciate websites and blogs like this. 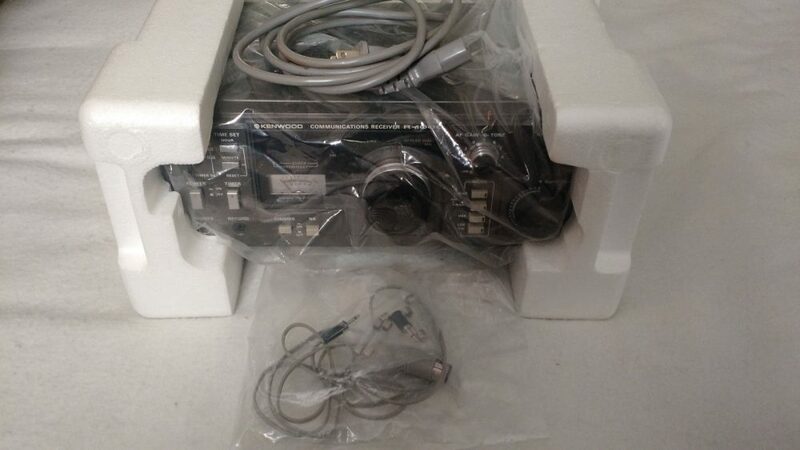 For decades I’ve used a Sony ICF 2001D / 2010 as a MW and SWLing radio in the tropics, both in remote small towns – probably count as “rural” or semi-rural…. and in big cities, e.g. Hong Kong where spurious RF signals are plentiful and the ICF 2010 can still haul in clear signals on its whip antenna or a simple long wire…. however, my 2010 has gone deaf and I’m considering a replacement, the Kenwood / Trio R-1000 is one of those I’m considering, along with the Drake R8 has anyone done comparisons between these receivers? If so please post a comparison, I’m sure I’m not the only one out their who would like to know what you think of their comparative merits and weaknesses! I recently had the opportunity to purchase a Kenwood R-2000 at a fair price. Having working with it for a few weeks, I came to the conclusion it it will not hold on its own with my Kenwood R-1000. I will continue to try and get more familiar with it. It is going to be a slow process. Great reminder about setting aside service costs in your budget if you care about vintage gear and want to operate it at its potential. I have a gentleman in my area (southern New Hampshire) who is very gifted at all tube gear, but will not touch solid state. So my question to this most worthy forum is: any recommendations of reliable service people or companies that offer repair and maintenance on solid state radios and accessories, ranging from communications receivers like the Drake R8A to portables like the Panasonic RF-2200 and the Sony ICF-SW7600? I and my collection thank you for any leads! Thank you, Thomas. Vlado seems like just the resource I need. I very much appreciate the reference. Here’s another SWL kicking himself. I sure enjoyed my R-1000 and wish I’d thought of running external DC to it when it developed a power problem. I have 5 shortwave receivers and I rate the R-1000 as # I also own a FRG-7, R-75. R-2000, and a Satellit-750. I had an R1000 many years ago, wish I had not sold it. Of course modern receivers have many improvements, definite improvements, well I mean, they do don’t they ? !!! Absolutely, a very fun receiver indeed. I’m still kickin’ myself for getting rid of the one that I had. One way to make it last much longer? Don’t use the internal power supply, as that adds to 3/4 of the heat in it. Run an external 12VDC to this rig and you’ll really make it last. Actually, this goes for pretty much all the Kenwood rigs back then.